Is it only for watering. Beautiful picture! Yes only for watering. 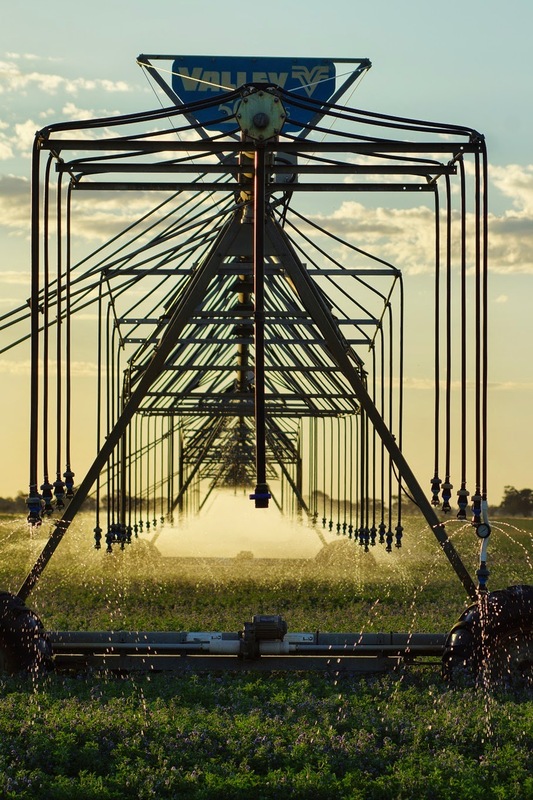 This is a centre pivot irrigator. Our average yearly rainfall is only 16" (400mm), so irrigation is an extremely important part of our region. Just checked out your blog, thanks for following Gardeningwhispering, will be doing the same in return, with much interest. I have never seen irrigation like this, a work of art! Beautifully photographed!